What Is Hesperidin (Vitamin P)? Hesperidin is a naturally occurring bioflavonoid, a compound in plants with antioxidant properties. Bioflavonoids also provide the color, flavor and aroma to plants. You can get hesperidin in certain foods or as a dietary supplement. While hesperidin and other similar bioflavonoids are commonly referred to as vitamin P, they are not actual vitamins. Hesperidin does not naturally occur in the body; you can only get it through foods or synthetic supplements. Before using a hesperidin supplement, consult your physician to determine its safety for your health conditions. Along with the compound rutin, hesperidin is the most active bioflavonoid in citrus based fruits. The hesperidin bioflavonoid helps protect your body from conditions like cancer, circulatory problems and heart disease. As a citrus bioflavonoid, hesperidin facilitates the formation of vitamin C complex, which supports healthy immune system functions. The combination of hesperidin and other bioflavonoids, such as diosmin, helps alleviate hemorrhoids and chronic venous insufficiency. Hesperidin is also useful, along with the compound naringin, as a potential treatment for preventing the progression of hypoglycemia, according to a 2004 study in the "Journal of Nutrition." Ongoing research is evaluating the use of hesperidin in treating or preventing various disorders, including high cholesterol and diabetes. The daily recommended intake of hesperidin for adults is 10 to 25 mg, but people using it to treat the medical conditions described above may take 50 to 500 mg, in combination with other bioflavonoids. Consult your physician for specific dosing instructions, as they vary with individual health conditions. Hesperidin supplements cause only occasional adverse effects, including nausea, vomiting, diarrhea and allergic reactions. According to Beth Israel Deaconess Medical Center, hesperidin is essentially nontoxic and free of drug interactions; however, if you take it in combination with other bioflavonoids, drug interactions can occur. Hesperidin is safe for use in pregnant or lactating women, when used alone. Discuss your medication regimen with your physician before using bioflavonoid supplements. Supplements manufacturers extract bioflavonoids from citrus fruits. 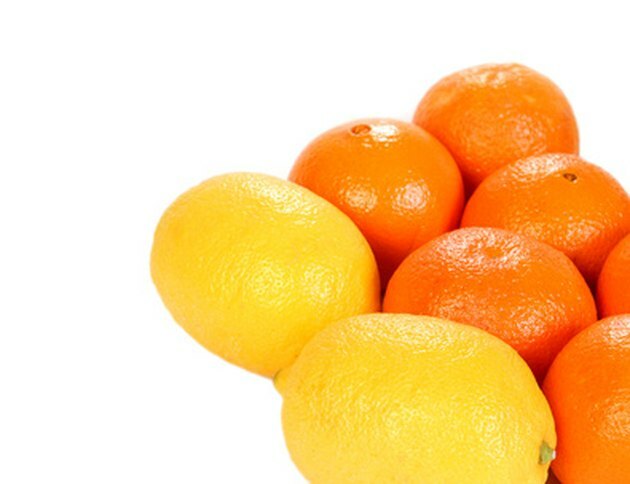 You can get hesperidin and other bioflavonoids in your diet by consuming lemons and oranges; the peel and membranes containthe highest concentration. Hesperidin is also found in grapefruit, apricots, plums and bilberry. Vegetables containing hesperidin include green and yellow peppers and broccoli. Whole grains, such as buckwheat, also contain hesperidin. Is Acai Berry Safe While on Blood Thinners?